Ann Marie Utratel is a co-founder of the P2P translation collective and cooperative Guerrilla Translation, and an international coordinator for Platoniq – Goteo (Spain); as well as a project development coordinator for the P2P Foundation. 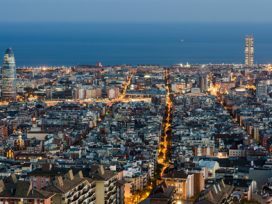 Following the election of the city’s new mayor Ada Colau in June 2015, Barcelona has reinvented itself amid a hive of social, cultural and political activism. Ann Marie Utratel explains how the city’s transformation resonates with inspired efforts to realign collaborative economies with the commons paradigm.